A faculty member at University of Houston in Texas is using virtual reality technology to study food cravings as a form of addiction. Tracey Ledoux, assistant professor of health and human performance, bases her research on studies showing food stimulates the same reward and motivation centers of the brain that respond to addictive drugs. In her study, Ledoux will use virtual environments to try to induce food cravings. Her colleague Patrick Bordnick, director of the UH’s Virtual Reality Lab, has done research that focused on addictive behaviors and phobias and has used virtual reality as a tool to assess and treat them. In this investigation, participants will wear a virtual reality helmet to enter a simulated restaurant, complete with all the sights, sounds, and smells. A joystick will allow them to walk to a buffet, encounter waitstaff, and interact with other patrons. Ledoux is still recruiting participants for the study — normal-weight women who do not have dietary restrictions or are trying to lose weight. The Centers for Disease Control and Prevention says during the past 20 years there has been a dramatic increase in obesity in the United States, which CDC defines as a body mass index of 30 or greater. 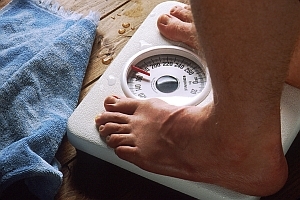 Obesity is a major risk factor for cardiovascular disease, certain types of cancer, and type 2 diabetes.